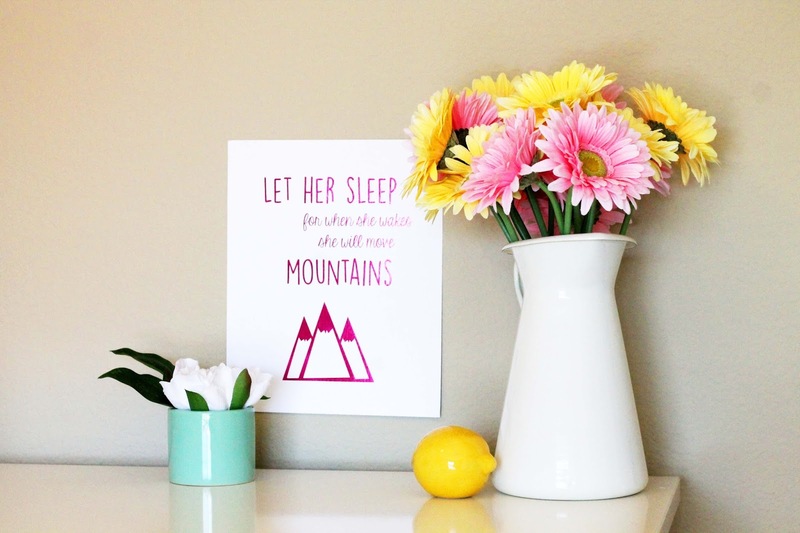 Silver Lining: Foiled Prints + A Giveaway! 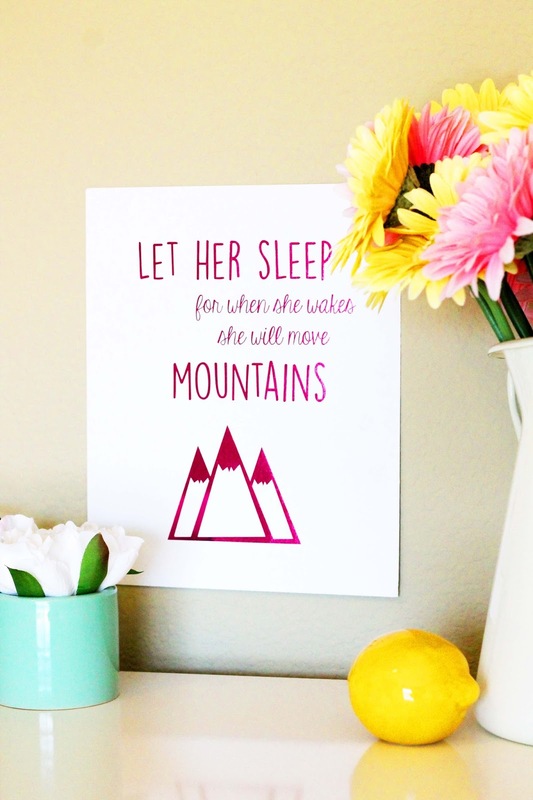 Foiled Prints + A Giveaway! Yesterday I got a job offer for my dream job... and I turned it down. My dream job! 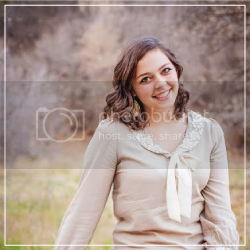 Director of Education at an after-school tutoring company! The whole time I was in the interview, I kept thinking how perfectly this job fits me. But the second I walked out, it started feeling soooo wrong. The hours felt wrong. The daycare Claire would go to felt wrong. The commute felt wrong. The pay definitely felt wrong, but hey, I work in education, so there's nothing new there. ;) It just felt like a really bad fit for me and my family. So today I turned it down, and as much as I braced myself to feel sad about saying no, it felt like one big sigh of relief when I got off that phone call. Anyway, on tomorrow's to-do list, I wrote, "Figure out my life???" Which should definitely keep me busy all day. Ha! Wish me luck? Instead, let's talk about something infinitely less stressful and infinitely more cute. Decorating my new apartment! 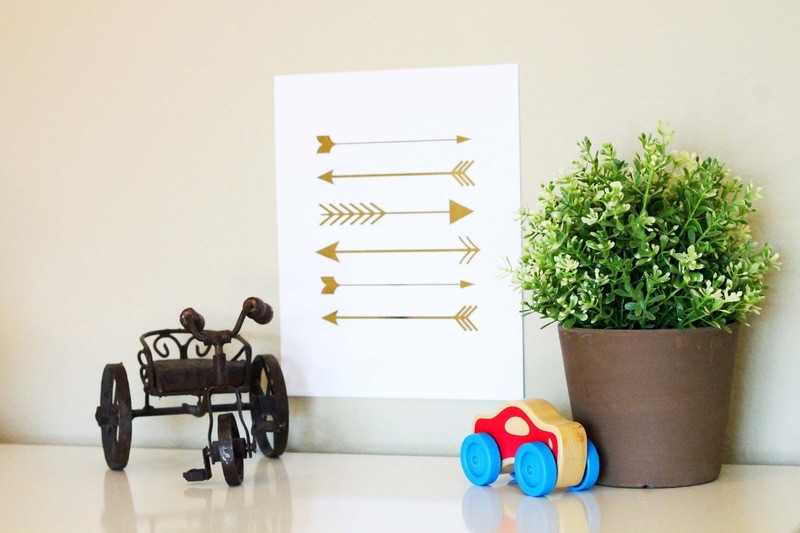 I keep seeing gold foiled prints pop up in everyone's home these days, and I can totally see why. It's classy. Gold goes with everything. 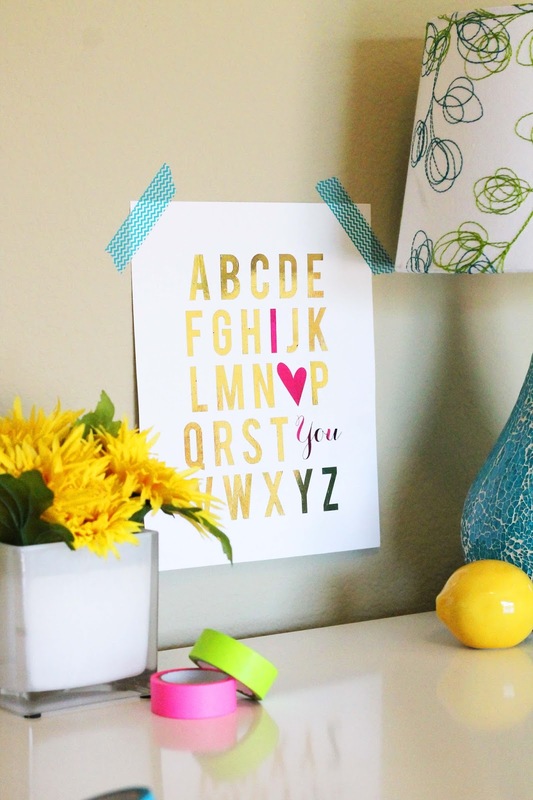 The prints really pop out from the wall, and make any room instantly more bright and fun. Exhibit A: These gorgeous things Foiled Prints sent over for Claire's nursery. ^^^ Did I start crying a little bit the first time I saw this print? Maybe. Is it too late to claim postpartum hormones if your baby is thirteen months old? Probably. I don't know, there's something about this that is just so sweet. 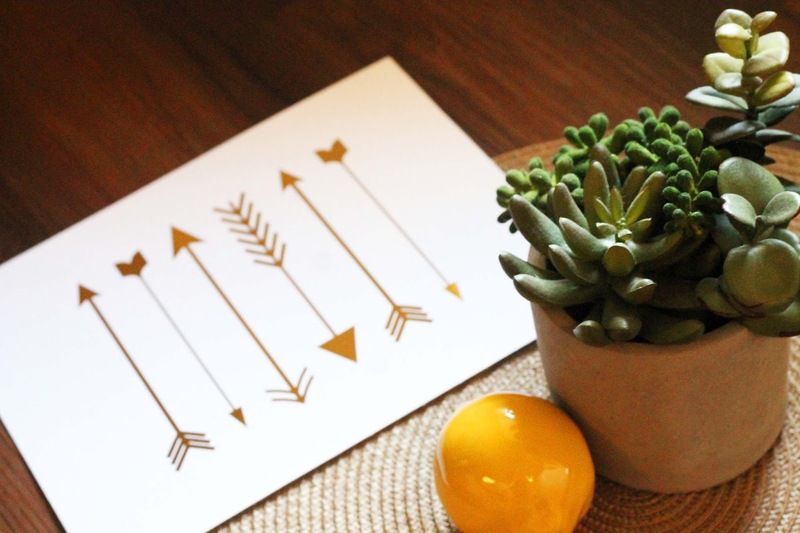 ^^ I love this arrow print because it can work with anything. 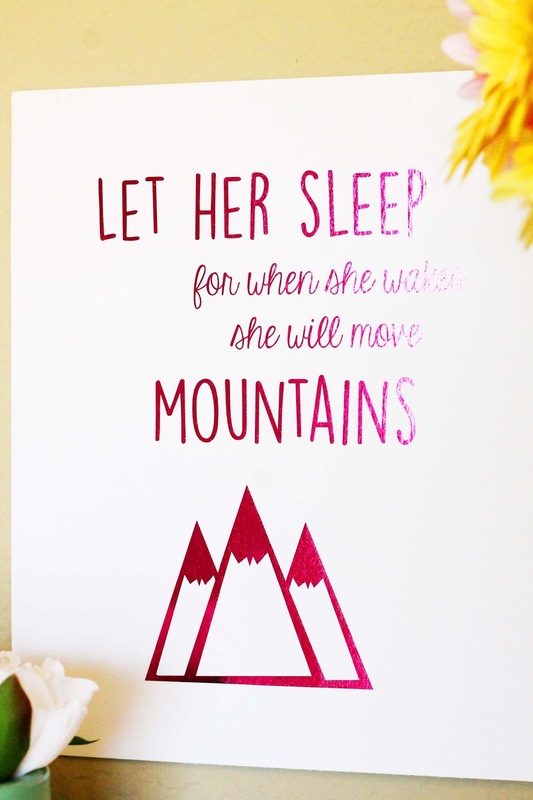 It's the perfect addition to any gallery wall or home office. If you go the baby route like I did, it works for little girls rooms and little boys rooms equally. I love these prints so much that I'm giving away $20 shop credit to Foiled Prints (that's enough to buy almost any print, plus shipping, and still have money left over!). I'd love to grab a state print with a little heart over my city, or this awesome thing for our office. Also, pineapple.